First Baptist Weatherford - How Do I Join? 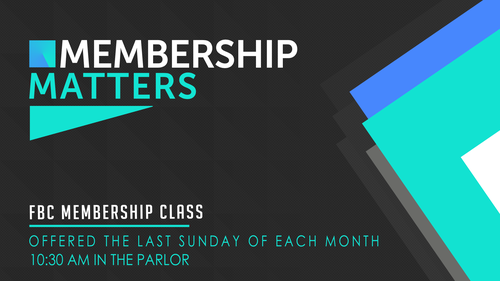 All prospective members are asked to attend a Membership Matters class, offered the last Sunday of each month, before officially becoming a member. If you are considering joining FBC, we invite you to attend Membership Matters to discover who we are, what we believe, what are the expectations, and how you can become a member of FBC. Want more information or want to register for the next Membership Matters class? Fill out this contact form and we will be in touch with you soon.